Morris Mania is located in the heart of the Gold Country in Northern California's Sierra Nevada Foothills. Our dedicated staff works hard to provide you with a great selection of products and prices to meet your budget and your Motoring needs. Our customers are our first priority. We hope you enjoy doing business with us as much as we enjoy serving you. Cheers! 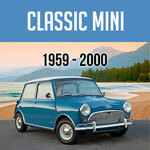 Mini Mania (Morris Mania's parent company) was started in 1974 when Don Racine decided that he wanted more parts for his Mini than could be found here in the United States. 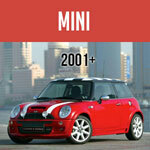 Don was racing Minis from the very start and before long had a stable of cars that required updates or restoration. While getting parts for himself, he found that the local Mini club was also anxious for a more reliable source of parts. Thus Mini Mania began to operate as a business.